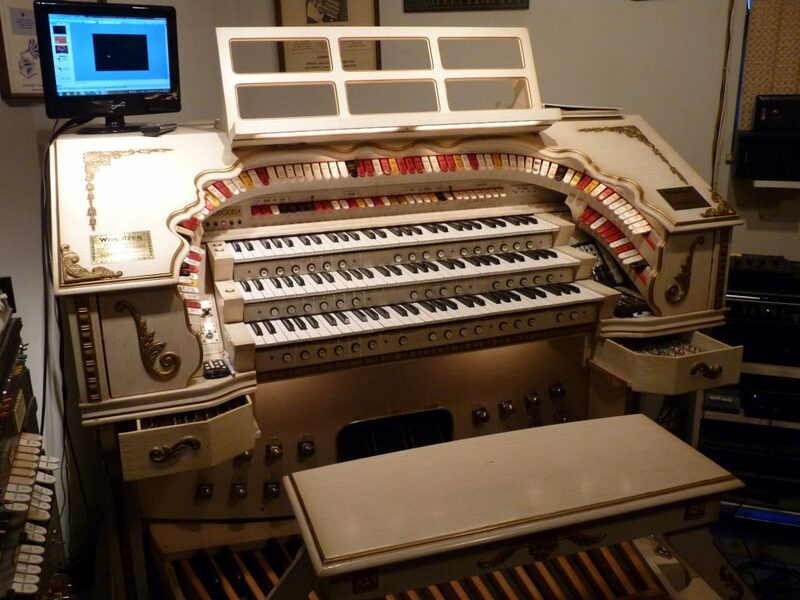 Jack Moelmann has a Rodgers Theatre Organ model 340 “Century” custom with 3 manuals, 8 ranks of pipes, 15 ranks of electronic voices and many, many wonderful and unique “toys”. Just seeing and hearing everything that this organ can do is enough to provide entertainment for hours. Jack’s instrument has 17 tuned percussions, various whistles and train horns, as well as bells, car horns, wind chimes, drums, duck calls, and even 12 dancing ducks. Jack also has an Allen “Historique” Classical/Theatre organ that he recently acquired.